I was approached by one of the acquisition editors of a reputed publishing house. When we discussed the idea I felt I have already written a book on similar lines then why a new book. And I started evaluating my existing book which is available on Gitbook. It’s the most widely downloaded and read Appium book. But I felt that there is a chance to re-work on the book and improvise what I have already done. 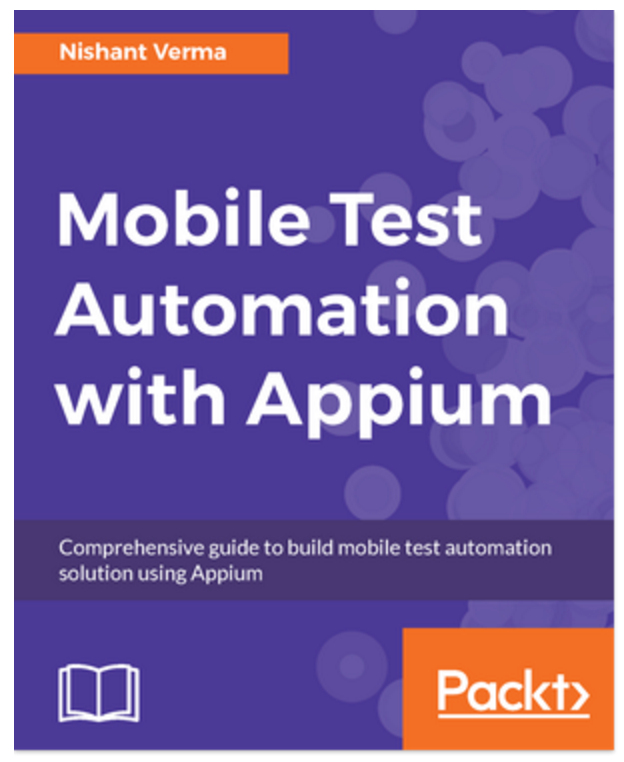 This book "Mobile Test automation with Appium" is an idea to help a larger mass learn test automation and basics of mobile testing and automation using Appium. It’s written in such a way that if you know Java, you can pick up mobile test automation and practice it. It’s highly practical in approach with a lot of coding examples to help you learn. This book is aimed at saving a lot of your time in finding the right material and provides you a step by step guidance to learn how to design a good test automation framework from scratch. It's going to be out in a month's time and would be available for purchase. I will update you here with more details.